Vodafone International is the new tariff which includes national calls, international calls and SMS, with the ability to add data. National Call to 0 cents / min (VAT already included), with a recharge. - Any operator, 24 hours and 7 days from your recharge. - Price outside recharge: 7.26 cents / min. (Tax already included). - More than 60 countries included. To activate dial in your mobile * 313 # and call key. Before ure or test the card, when you will be in Spain. 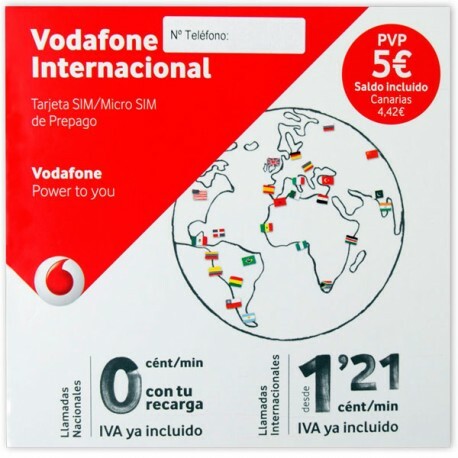 If you need Internet, hire your Vodafone international bond and enjoy 150MB for only € 4.84 (VAT already included). 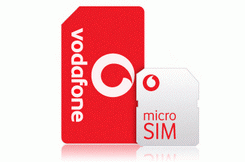 -You can contract it from your mobile by dialing *313*22# and call key. -You can buy this bond at any time, even without having spend all the data, and all bonus you need. The mb will be accumulate.